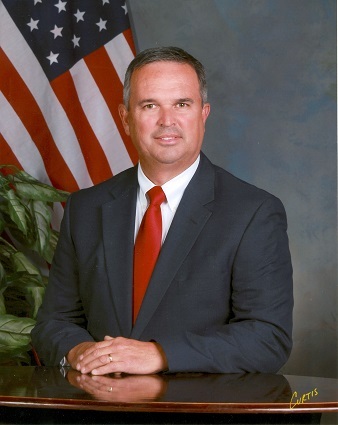 “A civil rights organization has accused Warner Robins Mayor Randy Toms of using his authority to influence the awarding of a quarter-million-dollar contract to a company. That allegation, lodged by the Houston County branch of the NAACP, is one of several election-related complaints, including the 2017 mayoral campaign, when Toms was voted into office for a second term. The complaint asks several state offices to determine if Toms — or his campaign committee — broke any campaign finance law. The document, obtained through an Open Records Act request, was submitted to the Georgia Government Transparency & Campaign Finance Commission. A letter was also sent to the Secretary of State and Attorney General’s offices. In particular, the NAACP questions the city of Warner Robins’ dealings involving ICB Construction Group. The Macon company was awarded a $276,943 contract a few months after two executives and another employee contributed a total of $7,500 to Toms’ 2017 mayoral campaign. Toms’ campaign contribution documents show that two other ICB employees also donated $2,500 to his campaign, the maximum amount that can be contributed for a local election. Toms called all the allegations in the complaint “100 percent bogus,” and he said he is hiring an attorney to fight them. Houston NAACP President Rutha Jackson declined to comment until after any investigation is finished. The transparency commission investigates complaints to determine if there is enough merit to warrant a full-blown examination. The complaint asks for an audit of Toms’ campaign contributions to determine if there was an “abuse of power” by the mayor. “We believe there are probably more questionable or illegal donations and that only a forensic audit can expose any additional violations and ensure that candidate Toms is following the laws,” the complaint said. Jackson wrote in the complaint that a representative of the mayor’s office told the NAACP that a “secret committee” had recommended that ICB get a “design-and-build” contract for an LEC outparcel building. “The Mayor’s office declined to provide any information or details of who was on the ‘secret committee,’ the date(s) they met, or the processes that led to awarding the contract to ICB,” the complaint said. The complaint alleges that because of the campaign donations from ICB employees, Toms “willfully directed” that the company be selected, despite another contractor’s offer to do the work for $63,240 less. But in an email sent to The Telegraph Thursday, City Attorney Jim Elliott said the committee had a valid reason it unanimously recommended ICB over the one other company that bid on the project. He also named the committee members, which included the city’s director of buildings and transportation, a police captain, the community development director, a city engineer and city marshal. ICB President Daryl Long said the company has heard nothing from the NAACP about its allegations. In its complaint, the NAACP also alleged that in 2013, Toms asked a donor to contribute $2,500 to Southside Baptist Church so that Toms could repay the publisher of a book that Toms wrote. That was a way to circumvent campaign finance rules during Toms’ first bid for mayor, the complaint contended. The Rev. Jerry Walls, Southside Baptist’s pastor, said the allegation that Toms owed the publisher or church any money was untrue. In about 2012, the church agreed to cover the $2,500 to publish the book, “Just a Fireman,” Walls said. It wasn’t the only time the church paid to publish a book by a member of the congregation, Walls said, and Toms was never asked to repay the church. A family later donated money to the church on Toms’ behalf, Walls said. The NAACP complaint also maintains that several years ago, Toms forced a city administrator to pass over a person more qualified to be an election supervisor and appoint a longtime friend instead.